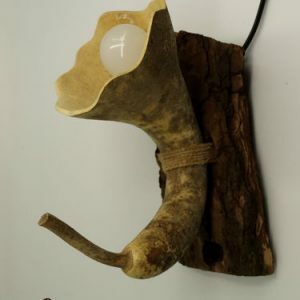 Rustic wall lamp.A handmade wall lamp made with gourd wood, designed with a rustic look due to its wood tone color. 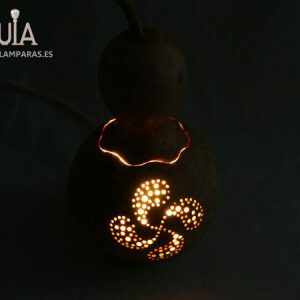 This wall lamp has been carved handicrafted, it has a “lauburu” carved along with other types of decorative inscriptions, designed to emit a warm and ambient light that makes pleasant the room where this beautiful lamp is available. 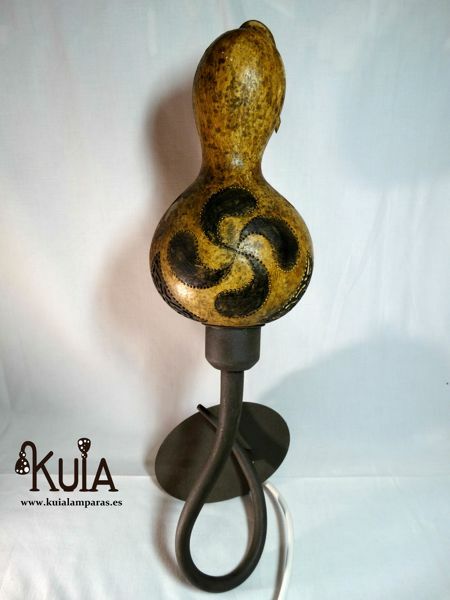 The base is made of metal, and has been painted with a brown-gray tone to fit more rustic home where the wood predominates in the decoration. 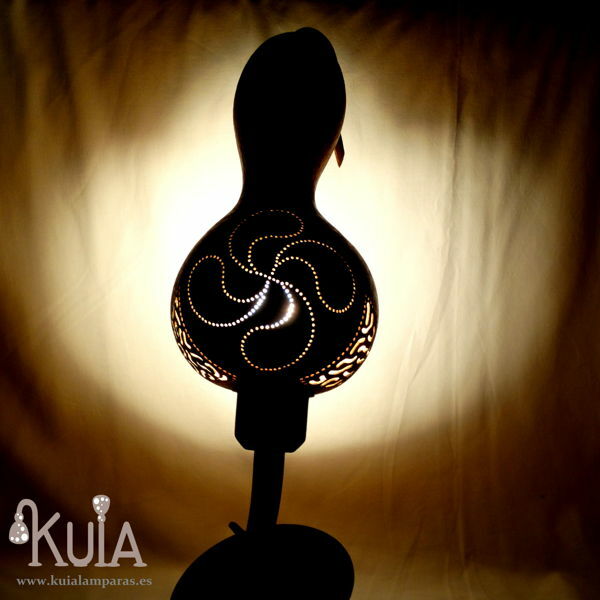 This handmade wall lamp is designed to create decorative lighting, showing the lauburu and the others carved in front. On the other hand, the rear has a much wider milling, to gain in lighting and at the same time facilitate the change of light bulb.